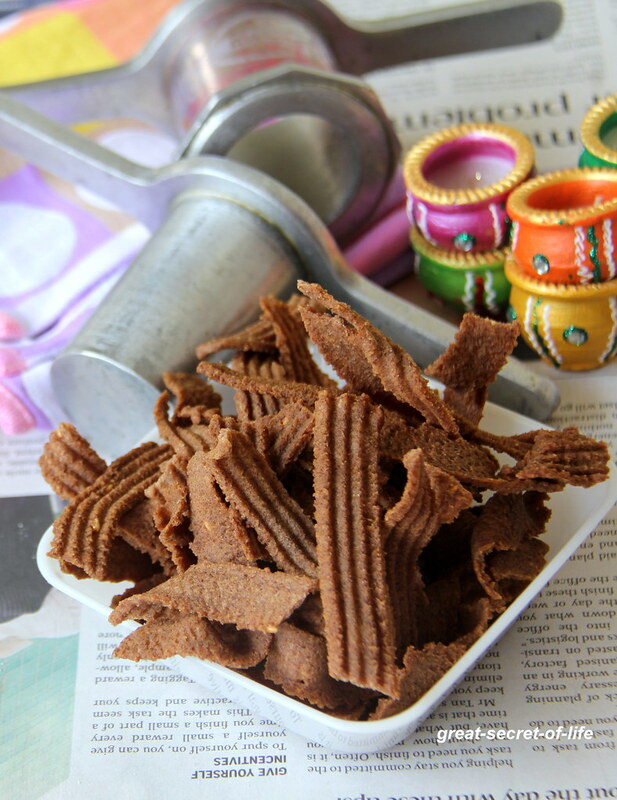 I love Ragi in any form .. 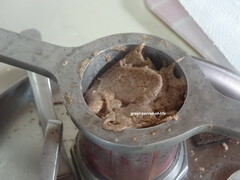 I have posted Ragi murukku. 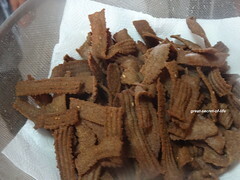 I always live the flavour of Ragi in these kind of Savoury snacks.Whenever I go to India it is a must. 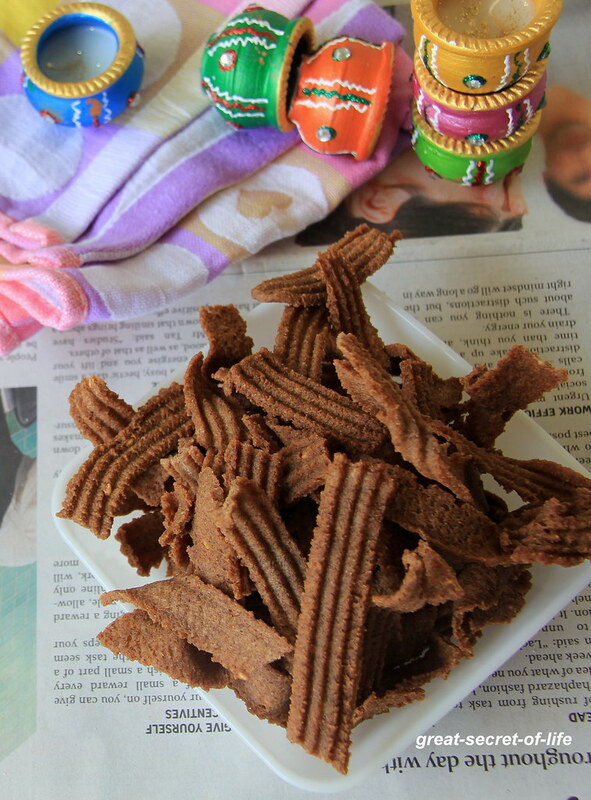 I wanted to make Ragi Ribbon Murukku for this diwali. 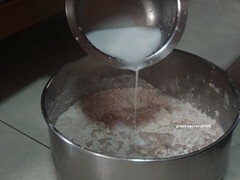 When I was discussing this with the kids my helper was suggesting to combine Wheat and Ragi and very little rice flour. I tried and it came out pretty well. Only thing is when she made the dough I was bit scary after seeing the consistency of the dough. It was bit more watery than normal murukku dough. The dough got thicker within 10 mins. 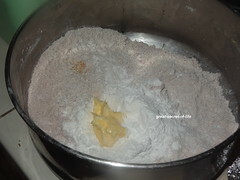 If dough get thicker and hard to press just add hot water and knead to soften dough. 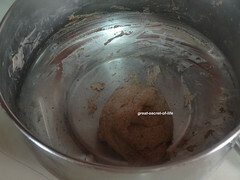 Sieve Wheat four, Ragi flour, Salt and rice flour together. Add all the ingredients in the ingre.dients section except oil. Make a smooth dough (make sure your dough is little softer than normal Murkku) by adding little by little (I have realized that I didn't take any pic so I took towards end of it that's why u see little dough below). Take the muruku Achu and fill it with dough. 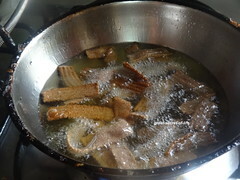 Heat the deep curved pan with oil for deep fry. You can press it directly on to hot oil or you can do it on the tissue paper and place that in the oil slowly. Cook it till Shhh sound subside. Guilt-Free and yummy snack!! Love the cute props!! 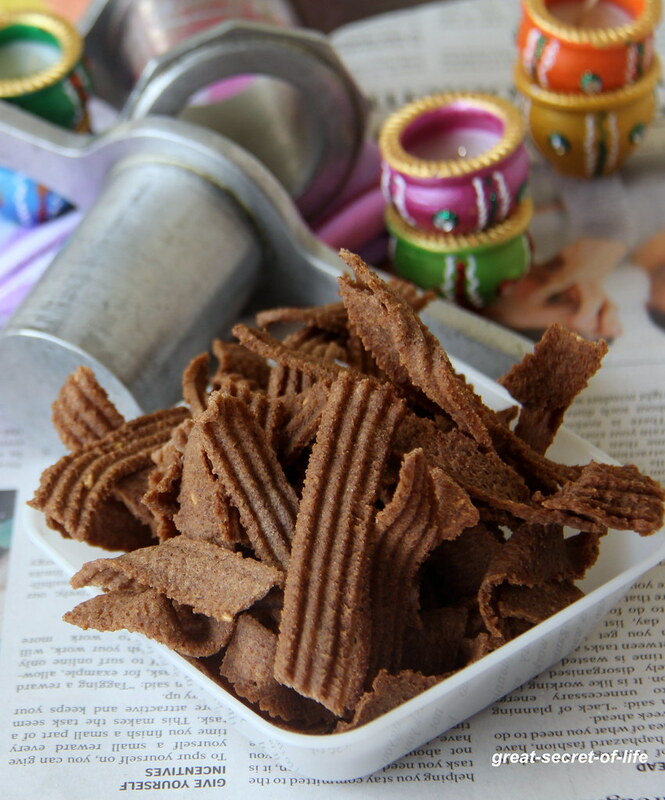 The ribbon pakoda looks superb Veena, I am yet to use ragi in murukkus..
Love this healthy version of ribbon pakoda with ragi.. Look crunchy and delicious.